Hello my lovely fellow bloggers. Todays card is the same as yesterdays but in gold. I loved the first one i made so much that i thought another one in a different colour would be fantastic for my mother for Mothers Day. I really love the way the gold looks together with the silver. Again this didnt take long to make and it looks fantastic. *Select a coloured card. This time i had choosen a glittery gold card. *Cut the card to size. I used a trimmer for this. You want to cut the width just a few centimetre shorter then your white card as this leaves a lovely little boarder and gives it a more personalised look. Cut it half the length of your white card so it will be half coloured and half white. 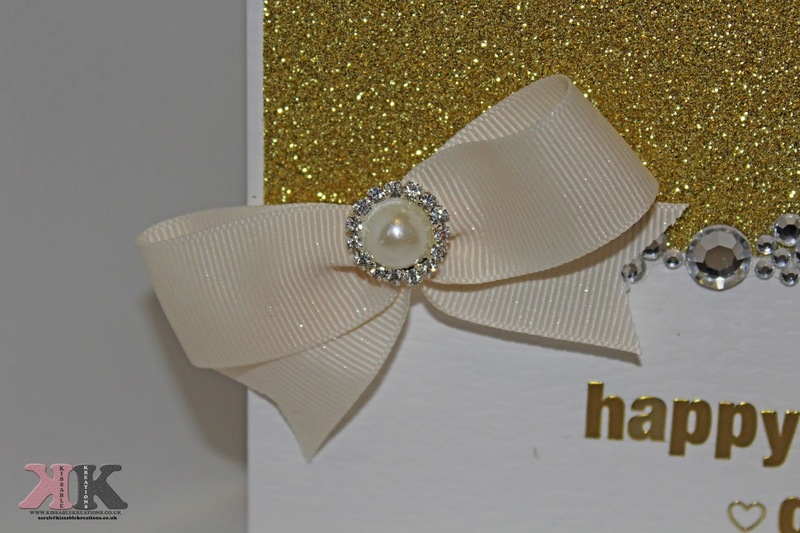 *Add glue to the back of your coloured card and carefully place this at the top of the white card. *Now you will need some kind of boarder to separate the 2 halves. I used a beautiful strip of gems. *I added 'Happy Mothers Day' to the bottom right of the card. You can add any words you want here to personalise it to the person it will be gifted or sold to. So there you have it. 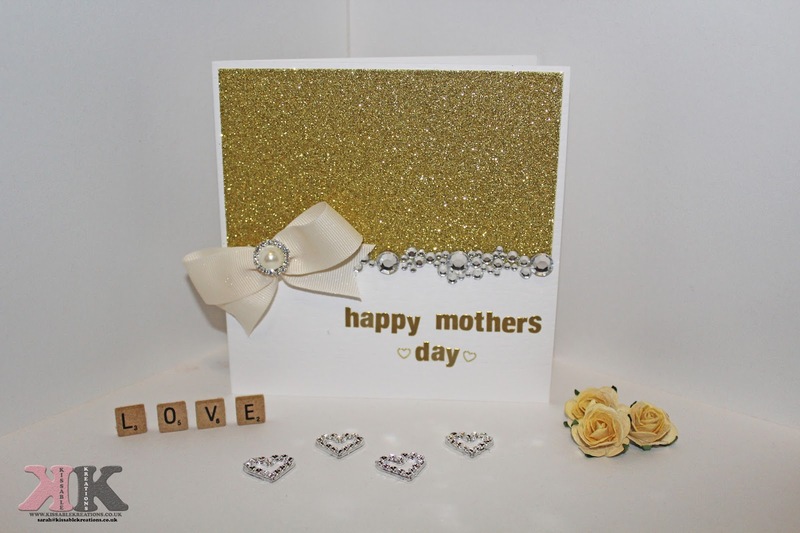 Another take on a Mothers Day card which takes under half an hour to make. Which one is your favourite? The pink one or the gold? Ahhh lovely! I actually prefer the gold to the pink so this is the one for me - thanks! So pretty. This is beautiful - I'm sure my mum would love it! Just need to find a present now!